Homemade Swedish Rye BreadThis is a great loaf of bread with a mild flavor. Party MeatballsThis is a tasty little meatball that everyone will like and it's easy to do. I like using the cranberry jellied sauce. It creates a little zing in your mouth. "What's in the Fridge" SauceI get a thick ham steak every month, cook it up, and divvy it up for 3-4 meals. I usually have brown sugar and pineapple (my favorite), in the cupboards. Well, this time, all I had was the sugar. Another Use for Baking SodaWhen making ice tea I add a good pinch of baking soda to the water along with the tea bags. By adding the baking soda, the tea won't become cloudy and have a bitter taste. It enhances the flavor of the tea. Robin's Frozen Cranberry SaladI love this salad because it's so easy and good! Great for the holidays or any time, especially for these warm weather months! A frozen salad is always good in the summer! Red Berry PunchThis is another great summer drink for any occasion! Squash and Sausage CasseroleMixed squash with Kelbasa sausage, cheese, and lots of veggies that's good for special diets, It's especially yummy when turkey Kelbasa is used; even when forced to change from standard north American diet to mostly vegetarian. 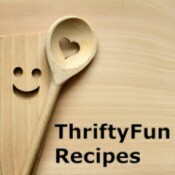 Raisin-Nut Honey BreadThis is a yummy, healthy bread recipe that even kids seem to enjoy! Creamy Garlic Dill DressingEasy and fast to make with ingredients on hand. Tastes delicious and can be used as either a pasta sauce or a salad dressing. Deeli's Poached Eggs with AsparagusThis dish serves four and is really easy, tasty, light, and healthy! If you would prefer two eggs per person simply poach eight eggs. Gingerbread PancakesThese are great at breakfast or any time. Super good! Scalloped CabbageI love cabbage in most any form, but this is exceptionally good! Pina Colada Upside-Down CakeThis cake is an old favorite with a new twist. 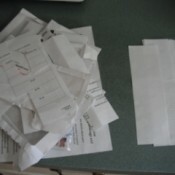 Free Scrap Paper from MailAfter cutting our name, address, and account numbers off the mail that I'm not going to keep, I take the sheets that are blank on the back and cut them up to use for scrap paper. 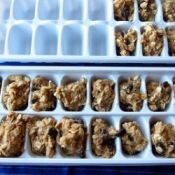 Freezing Cookie Dough in Ice Cube TraysMix up your favorite cookie dough. Make extra and freeze in ice cube trays. When you want to bake several cookies or more pull out you ice cube tray and pop out as many cookies as you want to bake. Storm Clouds (Brockville, Ontario)This picture was taken before we had a thunderstorm. 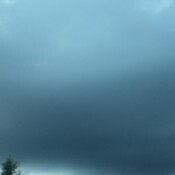 Looked nice and we really needed the rain. Wooden Bead and Wire TrivetMy trivet measured 4 inches X 4-1/2 inches. 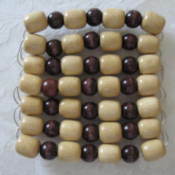 You can buy the large assorted packs of beads for approximately $10, and there will be enough to make a trivet. 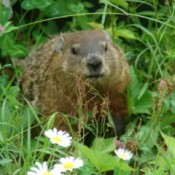 Woodchuck (Litchfield County, CT)This is a woodchuck that visits my yard at least three times a week. They are quite shy, and it ran off as soon as it realized I was there! 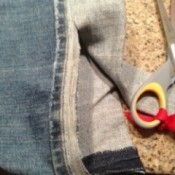 Pants Too Long?Fold the pants up, cut the extra off and re-hem, keeping the original hem/seam. Picture shows a better example. If you are using a sewing machine no need to change out to a heavier needle either. 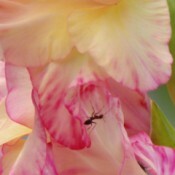 Ant On Gladiolus (Litchfield County, CT)I used a high speed setting with a close up lens to get a shot of this ant in one of my gladiolus. Kid OlympicsSkip summer camp and bring the Olympics to your children this Summer! 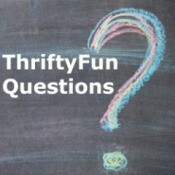 Plan several sports and wacky fun for a free week-long event of lasting memories. Buster (Beagle)Buster is a 6 month old Beagle. A friend of ours had a littler and we were spending the 4th of July with them and came home with a puppy, lol, and a cute one at that. 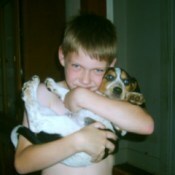 He likes to chase our son, roll around and play, and go for walks. 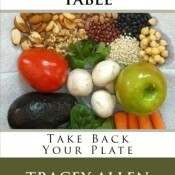 Use Place Mats for Shelves in FridgeI hate cleaning the shelves in the fridge. I've found that cloth place mats are generally the size of the shelves in the side by side fridges. I've learned by placing the cloth place mats on the shelves, when it comes time to clean, it makes cleaning the fridge so much easier. Pickle Jar with Laundry Detergent to Hold Toilet BrushI have a large pickle jar in which I keep my toilet brush, which I use to clean the toilet with. 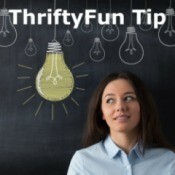 In the pickle jar is enough laundry detergent to cover the bristles of the brush. You're on MY Feeder! 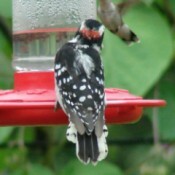 (Litchfield County, CT)This woodpecker (downy or ladderback?) is eating the ants off the feeder, and a female ruby throat just happened to arrive at the right time to get in the shot. They can't take their eyes off each other! Windex to Polish JewelryI work at a silver and native American jewelry store. We use Windex (I've never tried an off brand of glass cleaner), and an old soft toothbrush to get into hard to reach areas. Windex is the ticket! Dog Started Pooping in the HouseI have an 11 month old puppy, a Poodle/Norwich Terrier. She just started to poop in the house after having her outside. We had pine straw and now we have mulch, could this be the problem? Cleaning a Microfiber CouchI tried mixing equal parts of water and rubbing alcohol and it worked to some extent. I have some black patches that it did not clean and would like to know what else I could try. I am ready to pull my hair out! Hydrangea Flowers and Leaves Falling OffI have two hydrangea plants. One I believe is called a Lucy or Lacy and that is the one that is infected. The other one, we don't know what the name is, but it has a light blue flower turning to like a pink. So far that plant doesn't seem to be affected. Cleaning Mildew Off Of Leather FurnitureHow do I clean mildew off a leather settee? I have tried Stardrops; this does not work. I also tried furniture polish; this did not work. Zebra FinchesI would like to buy 2 zebra finches (female+male) for my birthday, but I don't know how much they cost. Can you tell me? Applique Pattern of Shirt OutlineI am looking for an applique pattern to make blocks with appliqued flannel shirts, similar to the baby quilts you see with appliqued dresses on the blocks. I can not find a shirt applique pattern. I'd appreciate it if someone could help me out. Thanks! Starting a Peach Tree IndoorsCan I start a peach tree indoors, and if so; how do I do it?